Komal Porecha earnestly shares how she was inspired by the shade of ocher she discovered in her baby boya��s poop. I listen with a straight face, for she is after all an interior designer with 20 years of experience behind her. But when she adds the part about contemplating to take a picture of it for her clients, we burst out laughing. Ita��s anecdotes like this that set her book, Bringing Up Your Baby, apart from other reads on parenting. Written from experience (she is the proud mom of four-year-old twins), with inputs from Dr JK Reddy of Apollo Hospitals, the book (Rs.299), published by Random House India, is a guide to the first year of bringing up a baby. The 208-page book took Porecha,A� who has freelanced for Elle in Mumbai (marriage brought her to Chennai), nine months to pen. She recalls writing in Anokhi and making mental notes while taking the kids to school, before the book was finished this February. a�?Routine is God,a�? she says, pointing out that it was a clear cut schedule that helped her balance time between her projects and looking after the children while writing. Wea��re not surprised, especially after we share another laugh when she tells us how at one point, she had started logging every activity of the babies on a spreadsheet. Ita��s situations like these that her book will prepare you for, she says, adding the content is a great preview even to someone who is thinking about becoming pregnant. a�?It will give you a laugh. It will establish a connect with what you are going through. And it has diet tips, what to watch out for in the baby, vaccination charts, etc,a�? she shares. But thata��s not all. Porecha, who admits that her husband was the victim of all her venting during her initial year with the babies, has got him to add inputs on what dads can expect as well. And while she does not have plans for another book now, she hopes to translate a Gujarati book written by her grandfather, soon. a�?He would sit down with Pandit Omkarnath and write as the poet sang,a�? 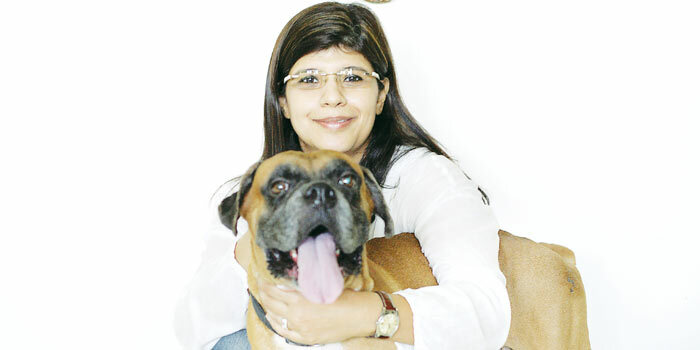 shares Porecha, who has dedicated her own book to her Boxer, Champak Lal. a�?It was after we got him that I was inspired to have a baby a�� and now I have two,a�? she concludes.